Spider veins and varicose veins are more than an unsightly inconvenience. They can signal serious underlying vein disease. Unfortunately, most primary care physicians and dermatologists only focus on treating these symptoms, and underlying venous disorders go undiagnosed. If you have any signs of vein disease, book an appointment with a specialized vein doctor in New York or vein doctor in New Jersey. 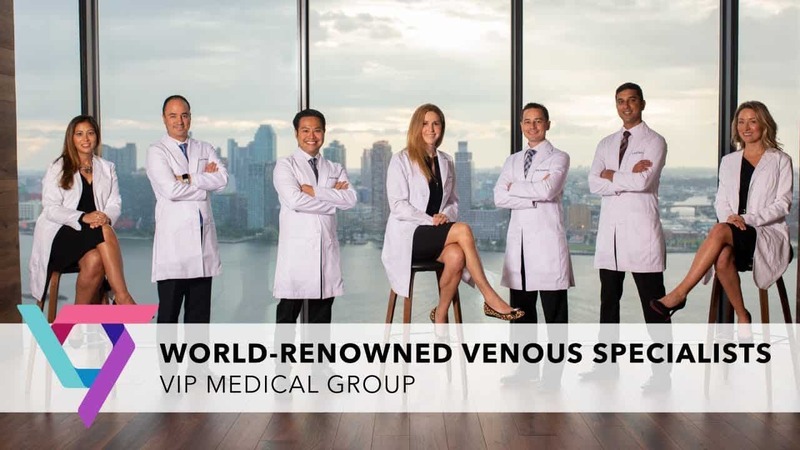 These experts have the education and experience necessary to ensure an accurate diagnosis, and they offer state of the art varicose vein treatment in NYC. Your circulatory system moves blood through all of the organs and tissues in your body. The heart pumps blood to your lungs to pick up oxygen, and then arteries carry the oxygenated blood wherever it needs to go. Veins help with the return trip. They transport the deoxygenated blood back to the heart, so that the cycle can begin again. Veins have a difficult job, because they must work against gravity to move blood from the lower part of your body to the heart. A series of tiny one-way valves helps the process along. The valves are located throughout the vessels, and they are specially designed to open for blood to pass through, then close to prevent backflow. These valves are quite delicate, and they can become damaged by injury or disease. When this happens, blood leaks through, and it starts to pool in your legs, ankles, and feet. As blood collects in the lower half of your body, pressure builds inside your veins. This causes additional damage to vein walls, and it can affect the other valves as well. As the problem gets worse, veins begin to swell. In some cases, they become visible just beneath the surface of your skin. They appear as a network or web of blue, purple, and red. These are referred to as spider veins. In other cases, the vessels take on a thick, knotted, rope-like appearance, and they protrude against your skin. These are called varicose veins. Chronic Venous Insufficiency (CVI) is a common, but woefully underdiagnosed vein disorder. Often, this is the underlying cause of your varicose veins and spider veins. A vein doctor in NY or vein doctor in NJ has specialized tools and testing procedures to examine the root cause of your symptoms and provide you with an exact diagnosis so you can receive the treatment you need. Many patients seek the expertise of vein specialists, because they develop varicose veins and spider veins. However, you may experience a variety of other symptoms before varicose and spider veins appear. These issues tend to get worse over time if the underlying condition goes untreated. It is common for people with venous disorders to notice feelings of heaviness, achiness, tingling, or numbness in their legs. Often, there is some swelling, particularly around the area where veins are protruding. Patients experience sudden, severe leg cramps, particularly at night, and some report issues with Restless Leg Syndrome – a condition in which you have an overwhelming urge to move or stretch your legs, even when you are completely relaxed. Changes in the skin are common, especially if you have swelling. At first, skin feels tight and itchy, and the texture may change. Eventually, if the problem isn’t addressed, you may notice skin discoloration. The affected area becomes thinner and more fragile, and skin loses the ability to repair itself after cuts and scrapes. Minor scratches can turn into major wounds that take a long time to heal, which presents additional danger. Open wounds allow bacteria to enter, exposing you to serious skin infections. Vein disease affects millions of Americans every year. Unfortunately, some of the biggest risk factors are outside of your control. Women develop venous disorders more often than men, and vein disease is more likely as you grow older. The primary risk factor is your family’s medical history. Genetics can play a key role in venous disorders. The good news is that there are lifestyle factors that you can control to lower your risk of developing vein disease. Maintaining a healthy body weight, avoiding tobacco, and getting exercise make a big difference in whether you develop Chronic Venous Insufficiency. Pay attention to the amount of time you spend sitting or standing and make it a point to take frequent breaks to keep your circulation moving. You may remember a time when the only solution for eliminating varicose veins was an invasive procedure known as vein stripping, which must be performed by a vascular surgeon. Patients who underwent this surgery had to spend time in a hospital, and recovery was slow and painful. Today, there are cutting edge varicose vein treatments in NYC that are highly effective without any need for invasive surgery. Your spider vein doctor or varicose vein doctor can perform these procedures at your spider vein clinic or varicose vein clinic, and you can resume your normal activities right away. The new treatments use thermal energy, laser energy, medical injection, or vein sealant to permanently close unhealthy veins. Blood is automatically rerouted through other, healthier veins, and the tissue from the diseased vessels is reabsorbed by your body. Within a few weeks, you will see improvement in the appearance of your varicose veins or spider veins, and they are usually completely healed within three to six months. All of these methods are minimally invasive and proven safe through years of application. Your vein doctor uses a local anesthetic to numb the area to be treated, then the unhealthy vein is accessed through a small incision in the skin. Often, these incisions are so small that they don’t even require stitches. The entire procedure takes less than an hour, and you are free to go back to your normal activities afterwards. When choosing a physician to diagnose and treat vein disease, the most important criteria is whether the practitioner specializes in venous disorders. Look for vein doctors who are Board-Certified, with specific training and experience in vein disease. The experts at the Vein Treatment Clinic have the skills necessary to ensure that your diagnosis is correct, and you receive the most effective vein treatment in NYC. They are focused on high-quality patient/physician relationships, and most are open to communication by email or text. You can schedule a consultation online, by emailing us, or contacting the office by phone.